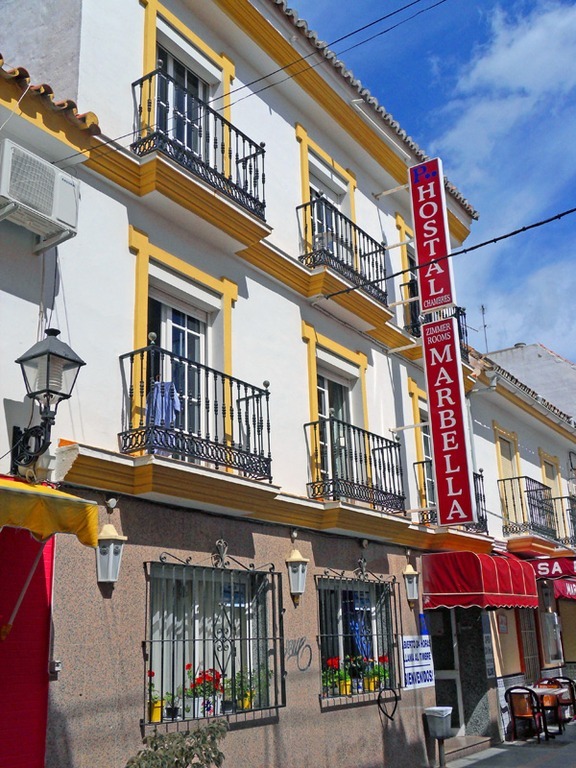 Hostal Marbella is a small and cosy hotel with 25 rooms owned and managed by a Swedish couple. The hotel has 4 floors with a lift and the majority of the rooms have a balcony or terrace. wireless internet, security boxes and bathroom en-suite. It has a full drinks license. In the reception the staff are all multilingual and speak Spanish, English and the Scandinavian languages. They are all focused on giving you the best possible service to make your stay enjoyable. On the ground floor there is a new lounge where we serve breakfast and drinks. Enjoy the sun or the moon on our roof terrace! an independent traveller might want. ….and it’s much quieter! It is also 100 meters from the main square with banks, bars, restaurants, launderettes etc. The bus station and train station are similarly within 5 minutes' walk. Our English-language website www.hostalmarbella.info gives full details. Welcome to Hostal Marbella or as we say in Swedish....Hjärtligt välkomna till Hostal Marbella!